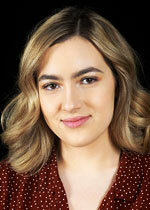 Daphne Charrois is striving to sing on Broadway! 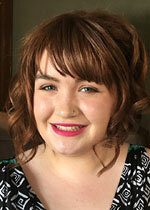 She has been working hard and auditioning for Musical Theatre programs in Ontario and New York. She has been accepted into the American Musical and Dramatic Academy (AMDA) in New York City for the fall 2019. She would love to school in New York, yet the cost amounts to over $80,000 CAD a year. Daphne is willing to sing continuously to fund her chance to make Broadway. 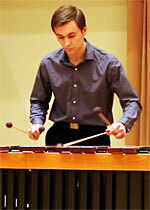 I am a second year music student at the University of Alberta, studying under Professor John Tessier. My love of the human voice was first sparked by my participation in the Cantilon Primary Choir when I was six, and I continued to participate in the Cantilon family of choirs for the next 12 years. In my first year of university I was privileged to make the cut for the University of Alberta Madrigal Singers and am in the midst of my second season with them. I have been fortunate enough to be a part of various musical theatre productions and two operas, including the title role in a production of Mary Poppins and in 2018 the role of Tapioca in Chabrier’s L’etoile. Soprano Mary Zoe Delos Santos has an active life in music in the church community of Edmonton, belonging to five churches. In 2017 she performed as Gretel, one of the children of the Bailli, from the Manitoba Opera's production of Werther. She enjoys singing a variety of styles as a soloist, such as classical and musical theatre, and being a part of a variety of ensembles, such as chamber choir and concert choir. 20-year-old Jacob Kryger has been playing percussion since the age of eight and enjoys sharing his passion for music through performing. He has been studying percussion with Brian Jones, Principal Percussionist of the Edmonton Symphony Orchestra, since he was 10 years old. Currently studying at the University of Alberta in the Bachelor of Music program with a major in Percussion Performance, Jacob continues to study with Mr. Jones. Jacob performs regularly with the Edmonton Symphony Orchestra as an extra percussionist, and also in the Edmonton Youth Orchestra, University of Alberta Symphony Orchestra, University of Alberta Symphonic Wind Ensemble and his own group; alternative band “Thursdays." He has also performed in solo settings including concerts for the St. Albert and Edmonton Chamber Music Societies and achieved runner-up status in the 2018 University of Alberta Concerto Competition. Jacob has performed in the St. Albert Rotary Music Festival for many years on piano and percussion and received the Rose Bowl Award in 2016. 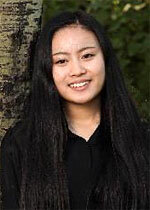 Vivian Tao is 18 years old and currently in her 13th year of piano studies. 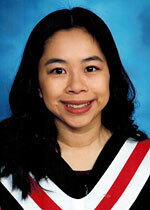 She is working toward her ARCT and plans to continue her music studies at the University of Alberta. Vivian has played in the St. Albert Rotary Music Festival for the past nine years and has won scholarship awards, including the Senior Classical Piano Scholarship, SPT Drilling Piano Senior Concerto, and the Patricia Burgess Award for Chopin. Her dedication to her art has led to competing successfully at the Provincial Music Festival in both solo and concerto classes. She plans to become a piano teacher in the future. Soon to be a graduate from Victoria School of Visual and Performing Arts, Vivian has had the opportunity to compete with the Victoria High School Cheer Team at the World School Cheerleading Championships. Vivian also makes it a personal goal to donate her hair annually to the Pantene Beautiful Lengths and Canadian Cancer Society for women who have lost their hair after cancer treatment.